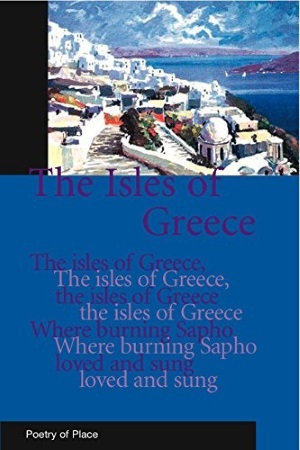 Christopher Bakken is the author of two books of poems: After Greece (winner of the 2001 T.S. Eliot Prize for Poetry) and Goat Funeral (awarded the Helen C. Smith prize by the Texas Institute of Letters for the best book of poetry in 2006). Bakken is also co-translator of The Lions’ Gate: Selected Poems of Titos Patrikios. He lived in Greece in the early 1990’s and returns to Greece every year. His poems and translations have appeared widely in the U.S. and in Greece, in journals like The Paris Review, Poiisi, Eleftheotypia, Athens News, and Modern Poetry in Translation. He edited the Greek and Cypriot portions of the Graywolf anthology New European Poets (2008). He is currently at work on a memoir called Island Solitude about his culinary and literary adventures in Greece. two rabbit-ear peninsulas, the port. five whole days the last time we were here. in a tongue we haven’t managed to learn. you point out the window, islands below. Mykonos. Tinos. Andros. A dragon’s tail. Delos: discarded pit of an olive. in a valley of a hundred thousand trees. like a sea of wings, waves bucking skyward. There’s no place for her eyes to land, or ours. Would we know home from here if we saw it? Is it the water that makes us forget? and the world is all whitewash, whitewash. It is possible to believe in this. love, deeper than our island solitudes. since in time they become what we’re made of. and Lesbos opens its ear to the sea. the window for your breast until we land. this feast we could not finish by ourselves. making shade for a famous square. our spiffy mountain house, these wheels. It’s all impermanent and strange. by someone who died, or didn’t. of simple wine and salt water. veering out again toward nothing. men willing their cement to dry. The shops are shut. Churches are locked. toward which we must steer, then swerve from. we don’t have the guts to follow. since they have nowhere else to go. In this way, every morning, all the houses smoke. and keftedakia in the cramped kitchen. as we move earth and open it wider. there’s always one ashtray and some salt. where our digging borders the grain fields. water enough to rinse the urns and shard pile. since the earth is god I am not dust but god. against the spirit that claimed it too soon. still slick, her firewood soggy with smoke. The sycamores were involved with their fog. The deer were busy hiding in the brush. the shoulder where she’d rent her mourning shawl. a pile of grain uneaten at the mouth. the town behind us stupidly asleep. the girl pretty, the river risen too high. and helped her burn—oh heartless god—the little beast. surely these doodads signify something. among shields and beehive thingamabobs. Who’s chasing whom, where on earth, for what? you might be venerable, sacred: but clay? a common corporation of dust. and V.O.A. on the hotel’s transistor. who paces with a finger up his nose. afire with gritty scents of Pelion. Kyria Roula calls them with a wave. finish up another wall of whitewash. by me, no, for their children, ta paidia. I could take another. They are perfect now. the water’s shadow, things that escape me. mob the streets, resume their Christmas shopping. of the Acropolis, pleasing us all. The barbarians are wintering elsewhere. Someone else’s war spills its guts on t.v. yodel and all, armed with forty wristwatches. I find I can drink in any language. will not open its umbrella in here. grumbles through the back door unnoticed. the dead have no idea why they died. which we use to wash down our oranges. yank the lines hard every third breath or so. Let our jigged hooks romp along the bottom. follow bait up till they see our shadows. if misery was what I translated. the grill, some lemon, the new olive oil. to empty such ideas from ourselves. Poor words, swimming for shore from a rowboat. Half the time my line was tangled on the oar. But the cove has already said enough. Its marble cliffs conduct light until dusk. Its squid invent new colors as they die. These offerings of orange peel for its depths.